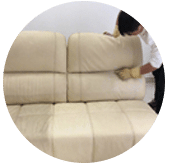 Our company provides effective ink stain removal service for carpets, mattress, sofa, couch and curtains in locations surrounding Kuala Lumpur and Selangor, Malaysia. Ballpoint ink stains can exhibit a test, regardless of whether you have stain-resistant cloth materials and ruin your day. At the point when an ink spill occurs, resist the urge to open your cupboard and toss all that you have on that stain. Commonly a lot of cleaning products might not be suitable and if you spray it on it may make the ink stain worst. 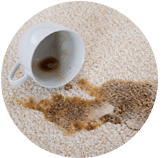 Indeed, even cleaning solutions need to be tested in an out-of-the-way to decide whether they’re safe for use on your sort of carpet or seating area. Tip: To ensure that your carpet stays clean and care and serve you for long, you need to keep it clean always. 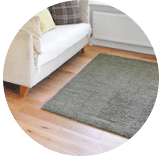 Be careful about the cleaning products you use and do your best to see that the carpet stays away from any ink stains especially if your carpet is white. It truly isn’t too difficult to expel most ink stains from carpets. Tougher ink stains or stains that have been there a while will more often than not need some kind of professional tools with the aim to get rid of them. All together have a perfect home, you need to do what you can to keep it that way. 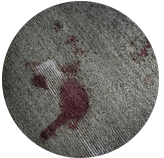 At the point when all that fails, you may need to bring in the serious canons of a professional ink stain removal cleaning service to make your life easier. 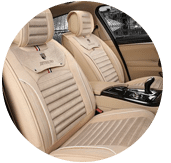 By hiring our ink stain removal service, we will help you to remove all residue of every ink stain, clean the entire surface of the material (carpets/curtains/car seats) and to ensure that it is spotless and smells fresh. 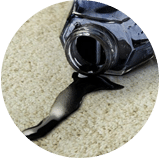 There are compounds in the cleaning solutions that work underneath the surface of your carpet to separate the pen ink stains and dirt that have got their way down into the carpet filaments. 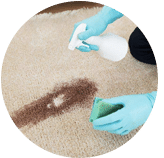 There are risks associated with cleaning utilizing this strategy, yet as good professional ink stain remover, we have the know-how to take care and handle your expensive carpets and rugs while doing the activity. 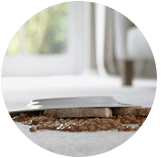 Most carpet which are stained just require utilizing a decent spot cleaning item in the manner in which the instructions on the package instruct you to use it. Different stains, for example, ink and pet stains, do need a professional touch, however. 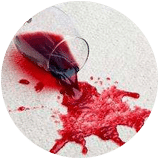 If you try to wash, treat, apply, blot using a towel, clean these spots yourself using water or rubbing alcohol based products, you could end up destroying the carpet permanently. Search no longer. Please contact our customer and pro sales support team via a call or drop us a message to get help and more information, tips and to get a FREE new quote for our ink stain removing and cleaning service right now! 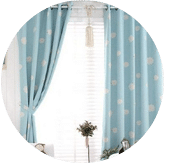 Our customer service team will reply to your request within a few working hours to find out more and discuss further about the ink stain removal cleaning service that you require. Subsequently, we will issue you a quotation and an invoice for the ink stain removal cleaning service. Our ink stain removal cleaning service is available in Peninsula Malaysia from Kuala Lumpur, Selangor, Ipoh, Johor, Malacca and Penang. Speak to our team to enquire more about the ink stain removal cleaning service that we provide in your area. 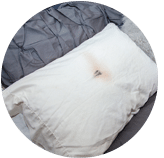 I have a special request for the ink stain removal cleaning service, can this be done? We understand that sometimes our customer have special requests for the ink stain removal service with regards to timing and other matters. In this scenario, you can contact our customer representative team at 017-232-6491 to discuss your ink stain removal cleaning request.